Johnny Dowd is not your average musician. Dowd wouldn't know how to make something mundane, underwhelming or run-of-the-mill if he tried. His records are full of the kind of joyful experimentation, humour, intelligence and excitement that you just don't hear every day. 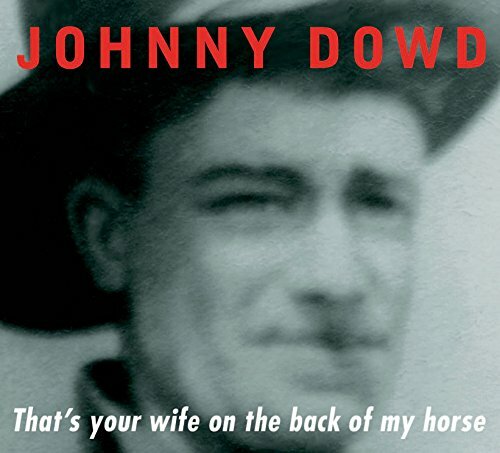 Johnny Dowd is 65-years-old and for some inexplicable reason is not particularly well known. Dowd received his first record player on Christmas 1956, a life-changing event for any young music fan. He immediately fell for the funky charms of James Brown, in particular Live at the Apollo (before that phrase became synonymous with bad stand-up comedy). By the early 80s, Dowd had formed his first band, The Jokers, with his sister on drums. By the late 80s, the band had morphed into Neon Baptist. It wasn't until the late 90s that Dowd released his first solo record, The Wrong Side of Memphis. Dowd has been fairly prolific ever since; releasing a new record every couple of years. Dowd's music is an idiosyncratic melting pot of influences, with shades of Tom Waits, Captain Beefheart and even a little bit of his beloved James Brown. There's a clear love and appreciation of country, rock 'n' roll, funk, jazz and blues in his records and the ability to display these influences in a way that makes sense. That's no easy trick. 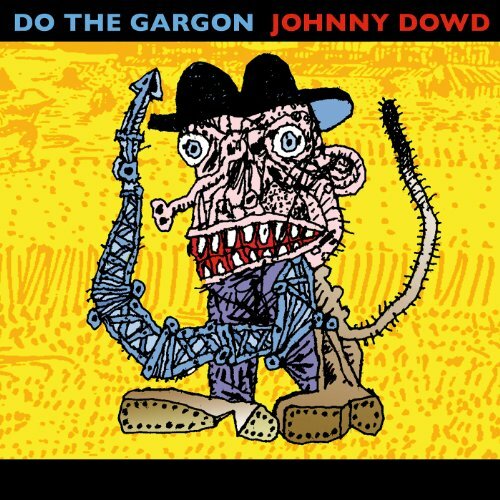 Do the Gargon is Dowd's new record and it is as strong as any of his previous releases. It's a confident sounding slice of genius; with all the strut and flair I have come to expect from a Johnny Dowd record. Opening track 'Gargon Gets All Biblical' kicks things off in suitable style with Dowd's overdriven guitar (Oh, he's an incredible guitarist too if I didn't mention that before) blazing a trail for the bands robotic funk-blues-disco stomp. It's important to mention that despite the traditional nature of the influences I've mentioned that Dowd's records sound incredibly fresh and modern. This doesn't sound like the work of a man born in the 1940s. Dowd has a distinctive voice and, while not technically a brilliant singer (he talks through his songs really), his cool Texan drawl is integral to the overall sound. Dowd tends to keep his lyrics fairly surreal but there's a whole host of black humour, storytelling and absurdity to get your teeth into. These songs are a whole heap of fun. Just take the psychedelic rock 'n' roll of 'Pretty Boy', with Dowd's guitar doing sonic somersaults as he sings about being the "prettiest man alive". There are some brilliantly propulsive riffs on the album too. Just check out the swampy blues noise of 'Shaquille' (with Dowd's distorted voice yelling, "Hello, my name is Gargon but my friends call me Shaquillllllleeeee!"). Not many artists could deliver lines such as, "Gargon has a mini-skirt he wears to places fancy and a pair of go-go boots he borrowed from Nancy… Sinatra!" (from the excellent 'Nancy Sinatra'). The Gargon character appears throughout the album, so I guess the whole thing's a kind of concept album. Don't let that phrase put you off, however; this is also a party album for the open-minded, the drunken all-night dancers and the insane. By now, by all rights, Dowd should be putting out some disappointing records. Yet Do the Gargon sounds like all the best weird rock albums you've ever heard mixed together in some powerfully enticing rock 'n' roll brew. You'll laugh, you'll cry, you'll throw away those awful Athlete and Snow Patrol records. Do the Gargon is a drunkard's masterpiece of glitter and doom. It's safe as milk. It's quite possibly the best album I've heard all year. Johnny Dowd is not your average musician. I really liked Pictures From Life's Other Side. He kind of reminds me if David Byrnes' evil twin in appearance.